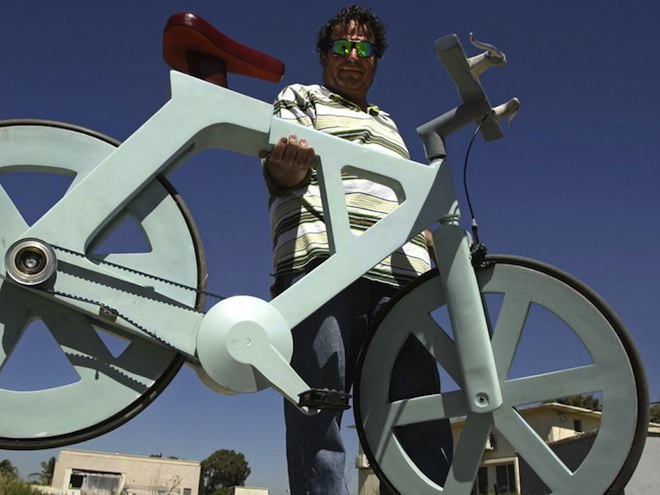 Behold the $10 bike designed by Izhar Gafni, created entirely from cardboard! 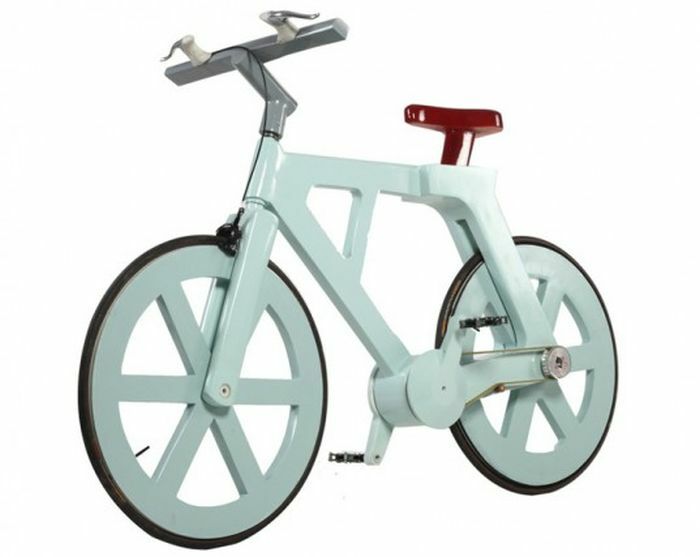 Flaunting its version of eco-friendliness, the above pictured bike is entirely made of folded cardboard! The brainchild of Israeli bicycle hobbyist Izhar Gafni, the basic design consideration of the impressive specimen hints at the art of origami. How so? Well, according to the DIYer, the cardboard was painstakingly folded over again and again – up till a point when its strength could match and support up to 300 lbs in (human) weight. The cardboard in itself was sourced from old boxes of Gafni’s shed. From this available material, our ingenious designer made cut-outs (of one-inch thickness), and then rolled them into tubes for the aforementioned greater strength. 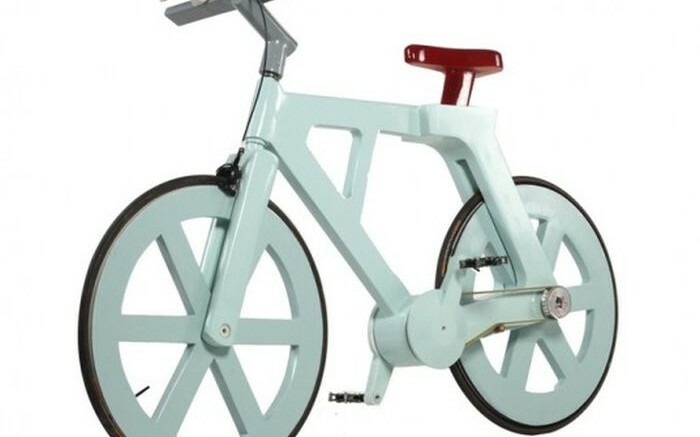 The end result pertained to conventional bicycle components, albeit made of unconventional cardboard – which were then coated with resin and finally painted over. 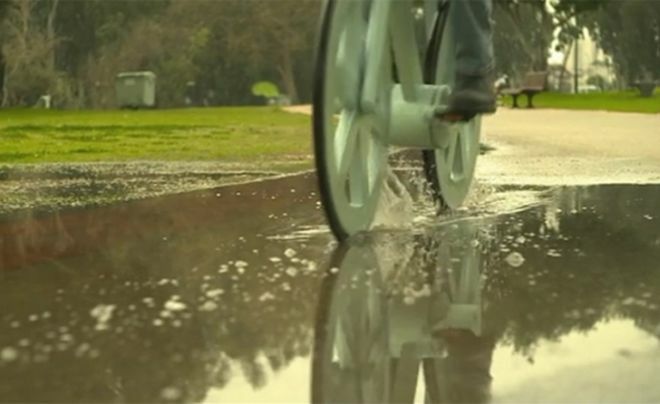 These last steps ensured that the bike would remain waterproof even when the rider traversing through soggy terrains and puddles. The groovy part about this low-impact, upcycled design scope relates to the fact that each bike ‘installation’ takes only around $10 to built, while. This is further complemented by the lightweight, and thus easy portability of the cardboard bicycle in question (which can be further bolstered by an electric motor). And what’s more, with retail prices ranging from $60 to $90, it wouldn’t even be worth stealing the bike.